My husband works in Iraq and comes home every 6 months or so for some well deserved R&R. It seems like all rules go out the door for the Grandkids (not that there are very many) but jumping in the hot tub is a no-no. I was inside cooking dinner and he was outside taking pictures. 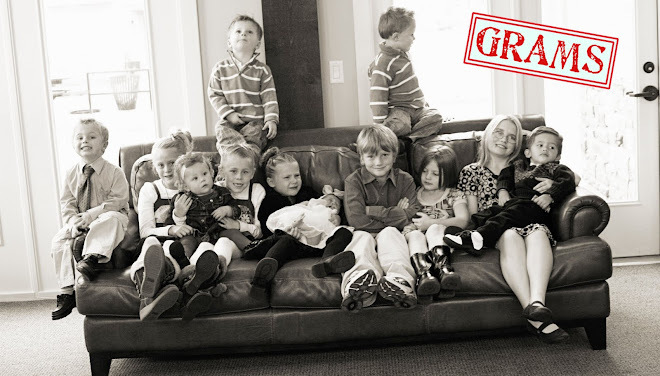 Did you know, you could get 14 grand kids in a hot tub at the same time? I think there is only nine in this picture. Who knows though. A couple of them could have been under water at the time. WE’RE ALL SO GLAD WHEN GRANDPA COMES HOME! This post cracks me up!! !